When a divorce drags out over a long period of time in New York, both parties incur additional costs and stress. Here’s how to find out why your Brooklyn divorce is taking longer than you thought it would and what you can do to get the ball rolling again. Child custody issues are likely the most common reason why a divorce proceeds slowly. 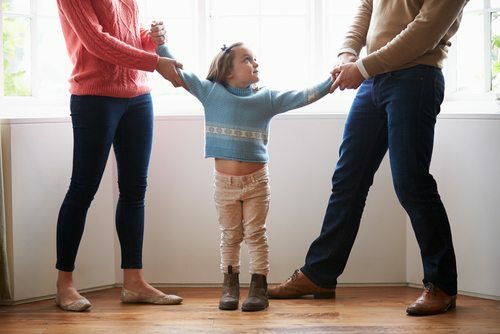 If your ex-spouse has taken an unreasonable position on child custody issues — such as seeking full custody even if it’s not in the best interest of the children — in order to fight you every step of the way, this can create big problems for you. If your ex-spouse is self employed, they may be adjusting their income or under reporting it in order to avoid paying as much in child support or alimony. If you are self employed, your spouse may be claiming that you make quite a bit more than you actually do. Either way, this can cause a divorce to nearly stop in its tracks while the court attempts to determine how much the self employed spouse really makes. In some cases, it’s not the ex-spouse that is the issue for a slow divorce, it’s their lawyer. Unfortunately, unethical family lawyers do exist. If your spouse has hired one, the lawyer may be stalling in order to bill as much as possible before the divorce is finalized instead of acting according to your spouse’s best interests. This can be done in numerous ways, including just giving your spouse unrealistic expectations about the divorce. If at any time you cannot reach an agreement with your spouse on certain issues, such as child custody or property division, your divorce will stall. Do what you can to compromise with your spouse within reason in order to keep the divorce rolling smoothly. Don’t be afraid to stand your ground on certain issues that you are adamant about. Contact a seasoned Brooklyn divorce lawyer to find out more information about how you can prevent your divorce from stalling or speed it up once you’ve reached a stalemate. Don’t hesitate to call the Law Offices of Mary Katherine Brown today for a consultation at (718) 878-6886.